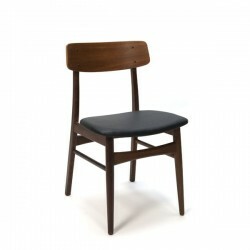 Vintage chair from Scandinavia. 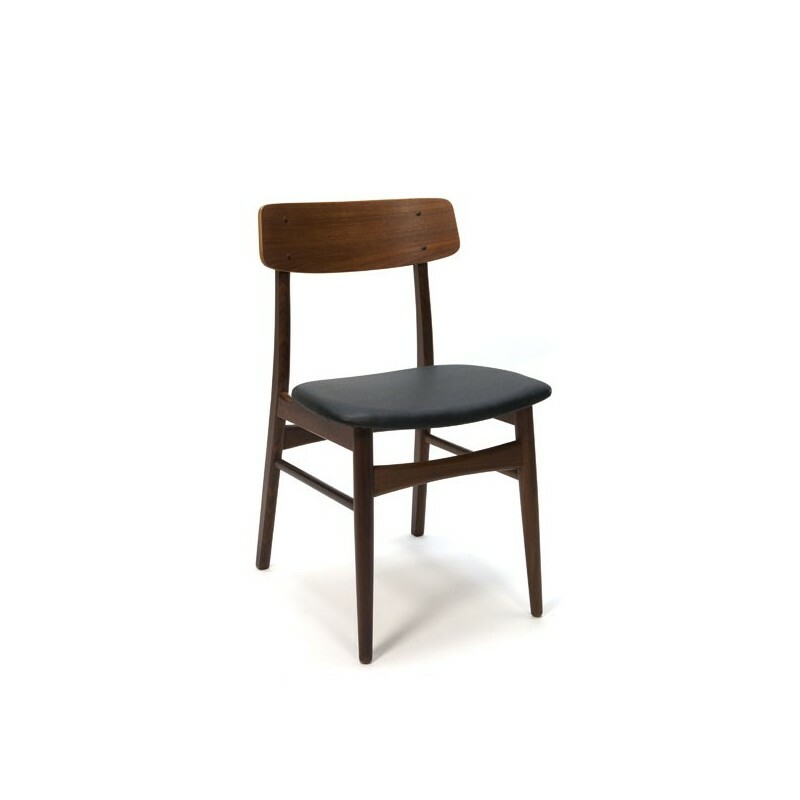 To use as a dining chair or office chair. 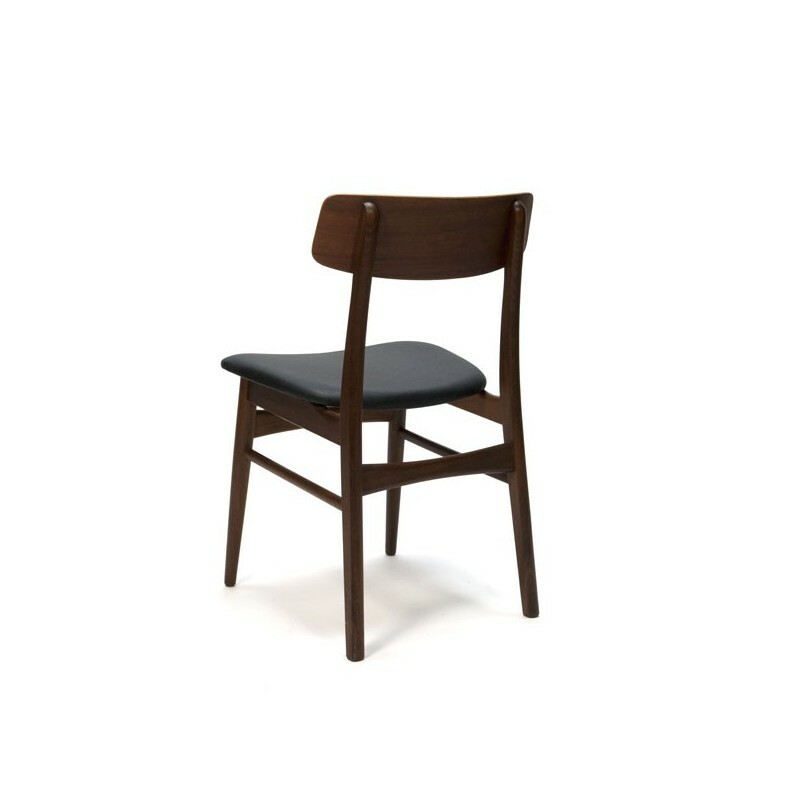 The chair is upholstered in black vinyl (new). The condition is good considering the age, see the detail photos. The dimension is 47 cm W / 47 cm SH / 78,5 cm H.